On almost any other morning, Mike Babcock's pre-game chat with reporters might begin with banter about his line combinations, scratches or the playoffs set to begin next week. TORONTO — On almost any other morning, Mike Babcock's pre-game chat with reporters might begin with banter about his line combinations, scratches or the playoffs set to begin next week. Saturday wasn't a regular morning. Babcock, the head coach of the Toronto Maple Leafs, fought back tears as he stepped to the podium at Air Canada Centre. He was in pain, just like his home province. A horrific bus crash involving a Saskatchewan junior hockey team, the Humboldt Broncos, killed 15 people Friday, including its head coach and captain, with another 14 sent to hospital. "It's got to rip the heart out of your chest," said Babcock, who grew up in Saskatoon. "We pray for those families and think about them. "Horrific, horrific accident. Tough day." Toronto centre Tyler Bozak, a Regina native, said he had difficulty sleeping after hearing the stunning news. "You can't really put into words, anything," Bozak said ahead of Saturday's regular-season finale against the Montreal Canadiens. "I can't imagine what everyone's going through back in Saskatchewan, and what's happening there. "You just send your love and pray for everyone that's involved, and hope for the best. Saskatchewan is a great community of people. Everyone will rally together and do the best they can, but obviously a really tragic situation." Leafs defenceman Morgan Rielly left home on the West Coast at 14 to play hockey at the renowned Notre Dame private school in Wilcox, Sask., before spending three seasons in the WHL with the Moose Jaw Warriors. "Growing up playing hockey and spending a great deal of time in Saskatchewan, you gain appreciation for the kind of people that come from there," he said. "But in times like these you definitely need people around you, and our thoughts and our hearts go out to the Humboldt Broncos and their families." Teams across the hockey world honoured the victims of the tragedy Saturday, with a number of tributes and donations, while decals of the Broncos' logo were added to helmets. The Winnipeg Jets and Chicago Blackhawks wore "BRONCOS" on the backs of their jerseys instead of nameplates, and stood side-by-side around the centre-ice circle during a moment of silence before their game at Bell MTS Place. Both Winnipeg and Chicago, along with the NHL, pledged to each donate $25,000 to the Humboldt club. The Jets, Edmonton Oilers and Calgary Flames said they would be sending the proceeds from each arena's 50/50 draw to the victims and their families. NHL superstar Wayne Gretzky tweeted his condolences to the victims of the crash, saying it had weighed on him and his wife. "Janet and I have struggled all day with the horrific accident in Saskatchewan. We are so sad for the @HumboldtBroncos families and are praying for them," said Gretzky. Those victims were also on the minds of athletes in other sports. Moments of silence were observed at the men's world curling championship in Las Vegas, where Canada's Brad Gushue is competing in the tournament's playoffs, and prior to the baseball game in Texas between the Rangers and Toronto. Blue Jays starting pitcher Marcus Stroman wrote "Humboldt Broncos!" on his hat in tribute. Canadian golfer Adam Hadwin, a Saskatchewan native who resides in Abbotsford, B.C., reflected on the emotions of the day after shooting an even-par 72 in the third round of the Masters. "It shows you how short life is," Hadwin said minutes after walking off the course in Augusta, Ga. "You need to appreciate every moment. You need to appreciate the people around you." Montreal defenceman Brett Lernout spent 2 1/2 seasons with the WHL's Swift Current Broncos, a team that was touched by tragedy when four players were killed in a bus crash in 1986. The Winnipeg native said that accident still resonates in the community. "It does. It does big time," Lernout said. "They just put a memorial ... it's just terrible to see that happen again." Babcock said he's driven the stretch of two-lane highway north of Tisdale where Humboldt was heading to play Game 5 of a semifinal series against the Nipawin Hawks. "Yeah, I know that road pretty good," said the coach. "It didn't seem like a big spot, it's not mountains or anything like that, but accidents do happen." Flames forward Tanner Glass said his first junior game was in Nipawin. "I've driven that road just like those kids did," he said. "It give you chills to think about." Leafs forward Patrick Marleau, who is from Aneroid, Sask., and old enough to remember the Swift Current accident, said he expects people across the province to once again come together. "It's very tragic," he said. "It was crazy to see exactly how bad it is. "Everywhere in Saskatchewan, it's tight. Hockey's everything in Canada, but in Saskatchewan every community's fairly small, so everybody knows everybody and you try and look out for each other and take care of each other. Very tight-knit." Rielly said teams like the Humboldt Broncos, who play in the Saskatchewan Junior Hockey League, are integral parts of the fabric of the province. "You can't even understand," he said. "Going around and playing in small towns and being able to be a part of one of those teams is extremely special. 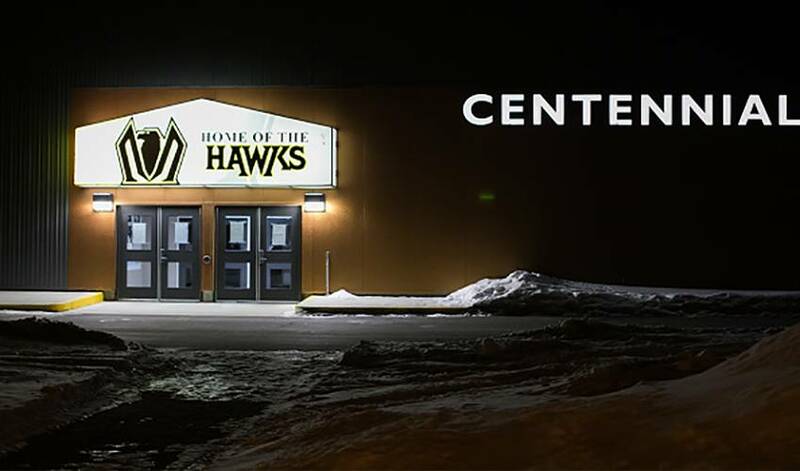 That community and the other small communities around Saskatchewan, they live for hockey, and they drive that team and players love living there, and I speak from experience. "The values that you learn playing in those communities stick with you for a long time. It's tough to talk about."